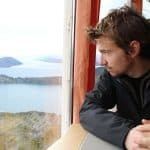 Back in the day, a long-term traveller needing a cash injection would have endured a long-winded, expensive process to get their hands on their money. The money sending process involved jumping through hoops and giving your life details to a total stranger. 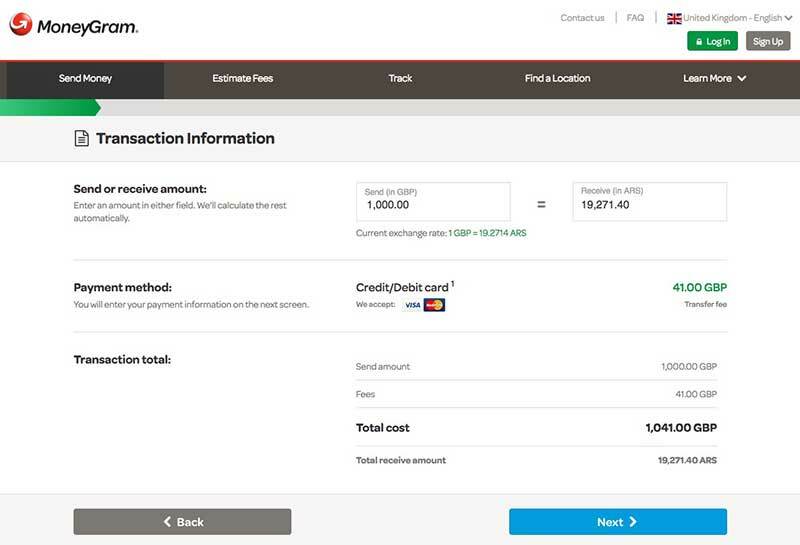 Now credit cards, Paypal, and other forms of payments are simpler to use and easier to get. It’s easier than ever to have on-demand buying power regardless of location. But the old form of obtaining funds while overseas, money transfer, is still a popular way to move cash. Credit card fees can add up and if you're credit card maxes out then you're left with few options. Getting the best deal out of international money transfers can save you $$$. This review of money sending services below to help you decide which works for you. 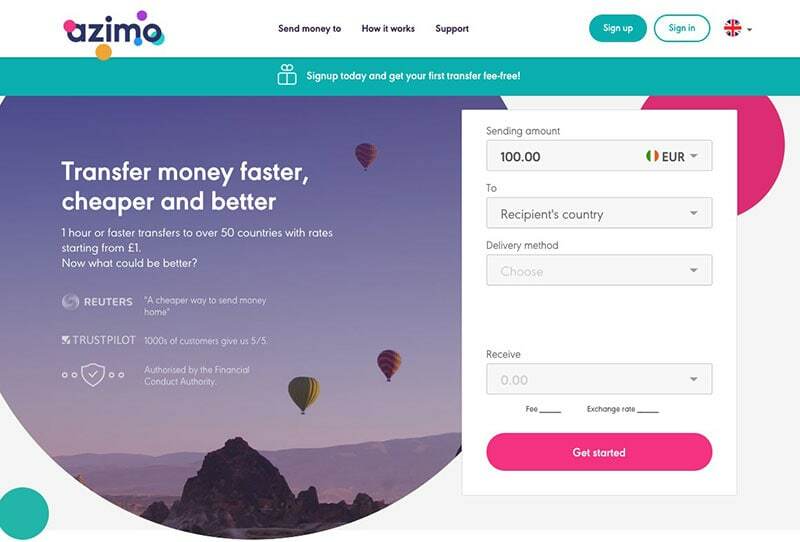 Want to know how to send money abroad? Read on. This list is not exhaustive. There are probably hundreds of money transferer services out there. Some have just plain awful websites and high fees. Others drop annoying fees on at the end which puts them way out of out of contention for best money sending service. I decided not to review these. I've been travelling and using services like this for 20 years so I've had many good and bad experiences. I used Ireland as a base location because it's not the cheapest or the dearest place to send from. I picked four countries to compare across all services (if possible). The first country is a notoriously difficult one when it comes to currency transactions: Argentina. I chose a relatively easy country to send to (outside of the EU and quite far away): New Zealand. I then chose two countries that I'd consider to be in the middle of those two: Colombia and Turkey. I previously use the figures in this post but as rates fluctuate (especially in countries like Argentina) and fees change, it was impossible to maintain. I have committed to updating my reviews on a monthly basis. TransferWise is my top pick for sending money overseas. No service for Argentine Pesos but the other three currencies are covered. Transferwise offers Euros to 46 currencies and USD to 51 currencies currently. 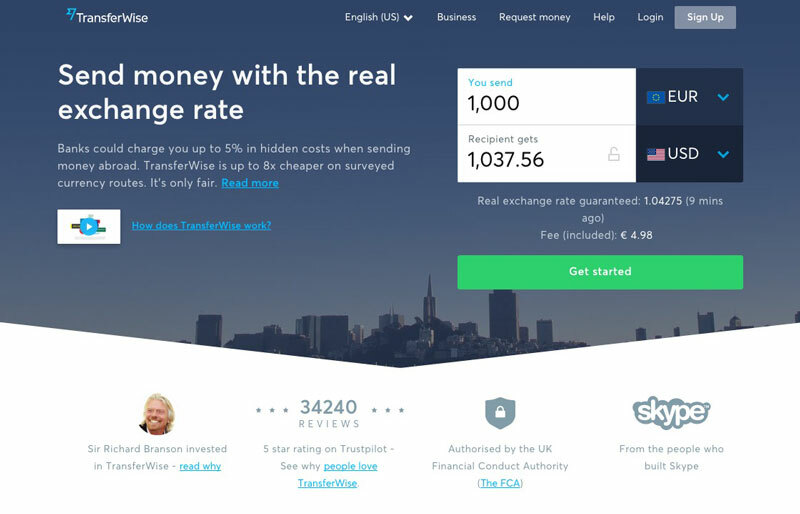 The Transferwise interface is modern, fast and clean. The New Zealand rate appears the best so far. TransferWise Colombia is expensive but I'm hoping that this changes soon. 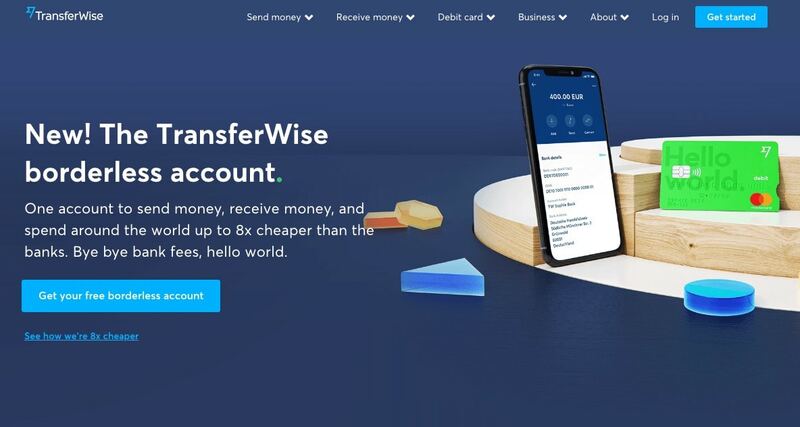 Transferwise recently introduced a bank account service called the Borderless Account. 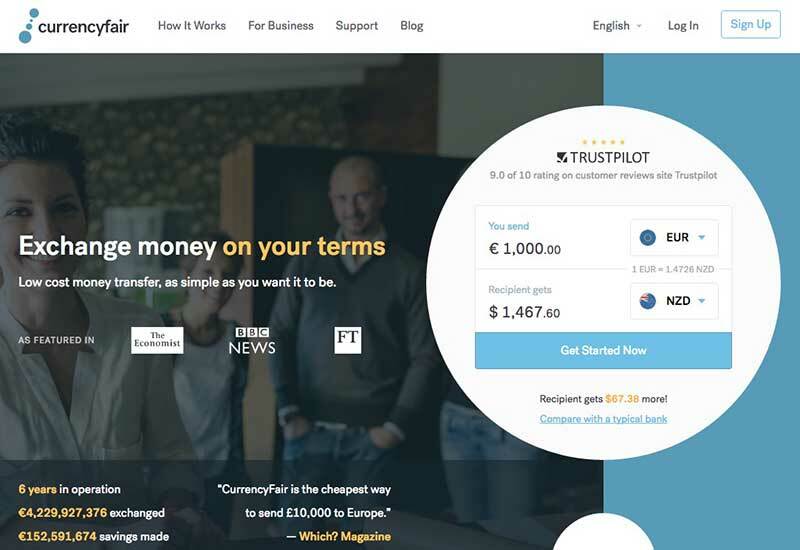 This awesome service lets you open a bank account in dollars, Euros, or sterling, without the hassle of setting up an account in the country. You can then use this account to receive funds in the US, Europe, Australia, and the UK. It's like Payoneer, only better. Anyone wanting to get paid, receive money, buy services in a currency other than their own bank should get the Borderless account. 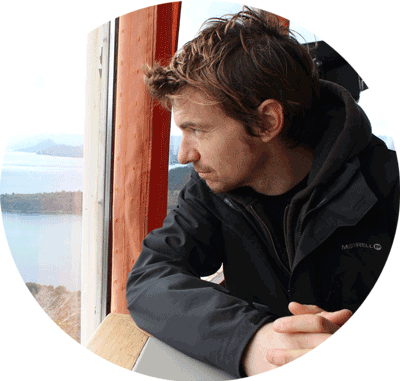 Perfect for digital nomads and freelancers. It's a fantastic addition to TransferWise's current product. Highly recommended. Azimo’s site is clean and easy to work with. The front page contains a form with fields to fill out for estimating transfer costs. I like this as I can quickly find out what it’s going to cost me without jumping through too many hoops. 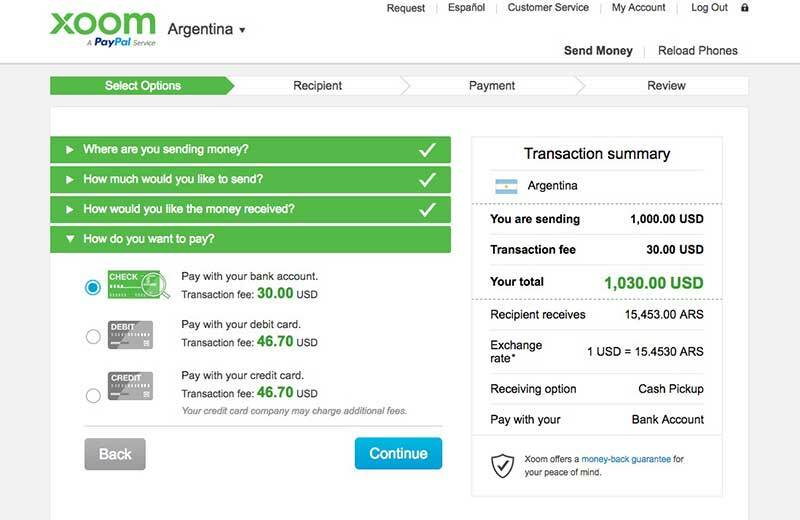 If I'm sending money to Argentina I'm given the option of cash pickup or mobile top-up. Next up is Western Union, the granddaddy of transfer services that’s been around for over 160 years. This is no dot-com bubble company. WU’s site is not as user-friendly as the rest and you have to click through a few times to get real details. This makes it a slightly frustrating experience. 2. Bank Transfer, costing €4.90 with a 1-2 day lead time. There’s an option to enter promo codes and that's always worth looking out for. I use a Chrome extension called Coupon Follow which searches for coupons automatically. 2. Cash with two different paying fee options: bank transfer or Credit Card. 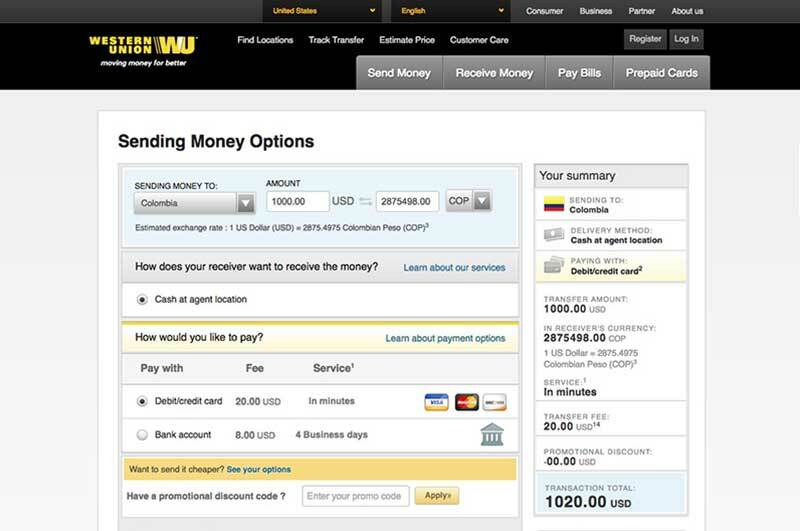 Western Union is one of the best global money transfer companies. There is some comfort knowing that WU is a company that has been around for a long time but has changed with the times. It has seen the newcomers in the money transfer service game and taken them on with competitive pricing and technology. MoneyGram gives you the option to include the fee in the cost, which is handy for seeing exactly how much the money is worth at the receiving end. I calculated with the fee included. The results were not too impressive. MoneyGram is the most expensive option due in most part to the flat €32 transfer fee. Xoom is a PayPal company site that requires you to signup before you can use the cost estimation tools. The interface is a little cumbersome. It’s definitely not my favourite but it does have it's good points. Xoom doesn’t offer a money transfer service for New Zealand or Turkey, unfortunately. Best for: Sending money to Colombia. 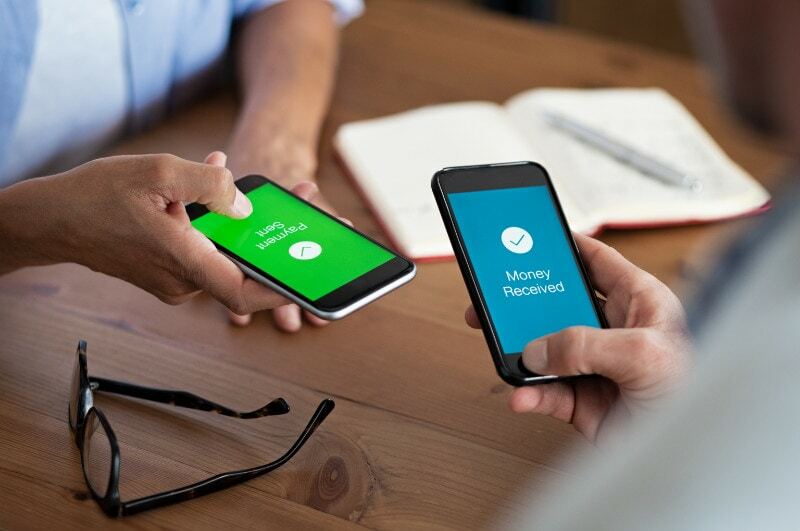 Xoom's transfer rate beats the other options in this blog post. CurrencyFair has been offering transfer services since 2010 and its headquarters are in Ireland. The site offers 17 currencies. Of our 4 base currencies, they only deal with the New Zealand Dollar. 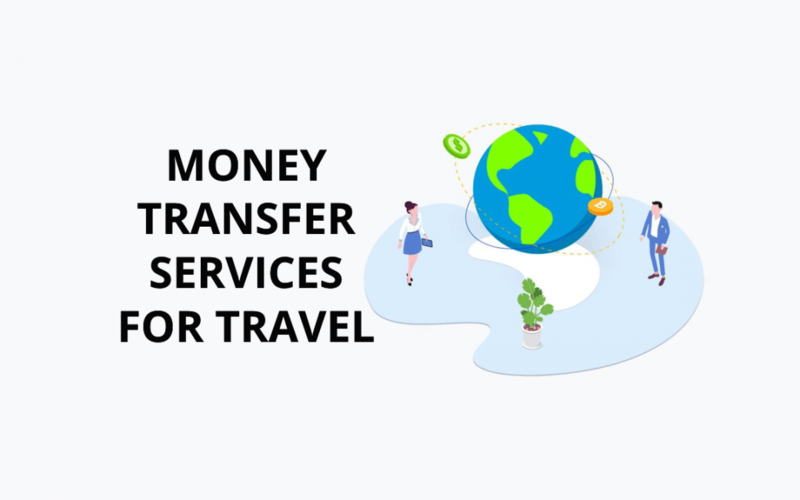 CurrencyFair.com is one of the best online money transfer services but has limited country destinations available at the moment. CurrencyFair was my favourite service up until a year or so ago. Unfortunately, the fees have increased and the customer service level has decreased significantly since then. I decided to stop using Currency Fair about a year ago. The service works by transferring money from your online bank account to the CurrencyFair website. Once approved you can transfer funds to the receiver's bank account in the target country. 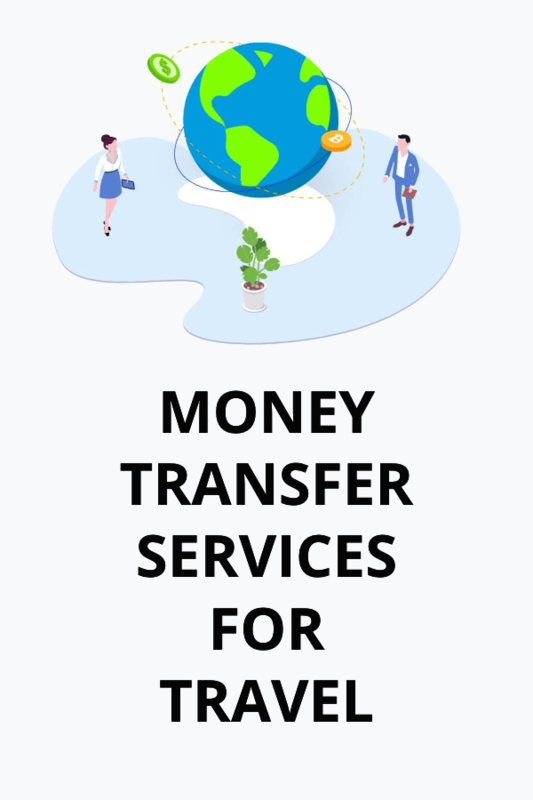 Effectively, you transfer money from one bank to another, only the banks are in different countries, and you bypass the bank's own transfer systems. TransferWise was great, I tried other money transfers and TransferWise provided me a great service and fewer fees.